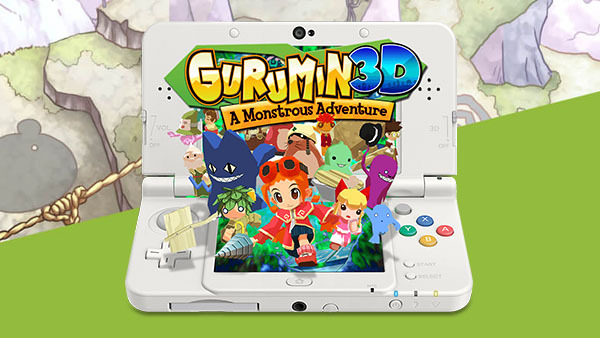 Gurumin: A Monstrous Adventure originally released on PSP several years ago, an adorable monster-focused adventure from publisher Mastiff. It originally made its way to PC as well, but now it'll be appearing on 3DS via the Nintendo 3DS eShop. The game will feature, along with its new 3D makeover, real-time combat, fully-voiced characters, and over 35 hours of gameplay to devour. There wasn't much else revealed about the game just yet, but if you can't wait until it's reborn on the 3DS, you can pick it up very cheaply via Steam if you want to see how it plays. And take it from me, it's definitely worth playing, especially if you love the more "kawaii" side of portable gaming.